‘We are extremely sad to announce that Professor Hans Rosling died this morning. Hans suffered from a pancreatic cancer which was diagnosed one year ago. He passed away early Tuesday morning, February 7, 2017, surrounded by his family in Uppsala, Sweden.’ Anna R. Rönnlund & Ola Rosling, Co-founders of Gapminder. He died aged 68. In 2009, the Swiss Statistics’ Meeting took place in Geneva, Switzerland. Hans Rosling was there and his talk’s topic: ‘Unveiling the beauty of statistics’. He wanted data to be free, free from legal and technical barriers. His ambition – and his success – was to disseminate these data beautifully … in order to change the world. A difficult task. In an interview in the Guardian, in 2013: “It’s that I became so famous with so little impact on knowledge,” he says, when asked what’s surprised him most about the reaction he’s received. “Fame is easy to acquire, impact is much more difficult. …. He’s similarly nonplussed about being a data guru. “I don’t like it. My interest is not data, it’s the world. And part of world development you can see in numbers.” (Taken from the Guardian interview 2013). 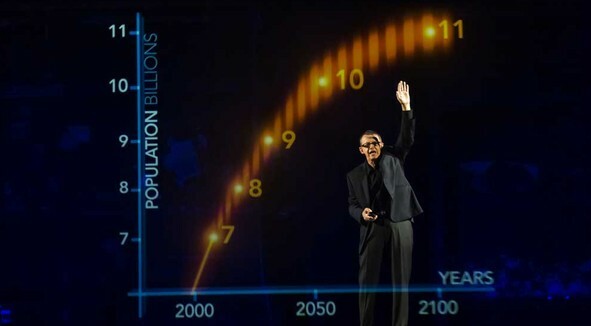 And that’s why statistics and the world need more people like Hans Rosling – more than ever! What will our future be like? Is there no or some hope that things evolve in a good direction? Will we make progress? Data play a crucial role in answering these questions. ‘Human intuition is a notoriously poor guide to reality. …. But the cognitive and data revolutions warn us not to base our assessment of anything on subjective impressions or cherry-picked incidents. As long as bad things haven’t vanished altogether, there will always be enough to fill the news, and people will intuit that the world is falling apart. The only way to circumvent this illusion is to plot the incidence of good and bad things over time. Most people agree that life is better than death, health better than disease, prosperity better than poverty, knowledge better than ignorance, peace better than war, safety better than violence, freedom better than coercion. That gives us a set of yardsticks by which we can measure whether progress has actually occurred. What may be true for the world must not be true for the individuals. ‘Most of the long-run trends are positive and paint an optimistic view of our world. Topic by topic, the empirical view of our world shows how the Enlightenment continues to make our world a better place. It chronicles how we are becoming less violent and increasingly more tolerant. The data displays how new ideas continue to improve living standards, allowing us to live a healthier, richer and happier life. It is the story of declining poverty and better food provision in a world we care about. ‘Evidence from academic institutions and international organizations shows dramatic improvements in human well-being. These improvements are especially striking in the developing world. While we think that policies and institutions compatible with freedom and openness are important factors in promoting human progress, we let the evidence speak for itself. We hope that this website leads to a greater appreciation of the improving state of the world and stimulates an intelligent debate on the drivers of human progress. And here is top-star Hans Rosling with his gapminder.org where he deconstructs misleading, ’60-years-behind-reality’ opinions with data. An example: Hans Rosling asks: Has the UN gone mad? ‘The United Nations just announced their boldest goal ever: To eradicate extreme poverty for all people everywhere, already by 2030. Runaway inequality has created a world where 62 people own as much wealth as the poorest half of the world’s population – a figure that has fallen from 388 just five years ago, according to an Oxfam report published on January 18th. How pivilege and power in the economy drive extreme inequality and how this can be stopped. The global inequality crisis is reaching new extremes.The richest 1%now have more wealth than the rest of the world combined. via Official Google Blog: Visualize your own data in the Google Public Data Explorer.